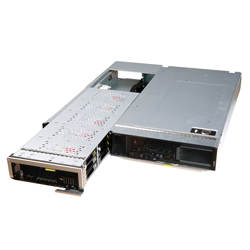 Excellent storage and computing capabilities for Big Data analysis, server SAN, videos, and sciences. This hard-working compute node can be used for Big Data analysis, server SAN, videos, searches, and the biological sciences — all processing applications that require large storage capacity and high computing performance. It’s powered by Intel® Xeon® processors. The compute node features dynamic energy-saving technologies that manage and control power consumption with remarkably reduced low-load operating power. Carrier-class design, manufacturing, and components ensure high quality. 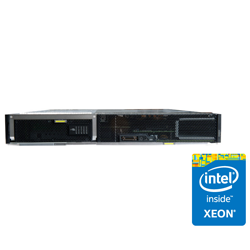 Intel® Xeon® E5-2600 and E5-2600 v2 full series processors deliver up to 4 x 12-core, 2.7 GHz computing power; two independent 2-socket compute nodes available. 24 DDR4 DIMMs apply mainstream granules and double the memory capacity up to 1.5 TB DDR3, providing the highest cost-efficiency for large-memory applications. Fifteen 2.5-inch SAS/SATA HDDs or SSDs provide very high storage capacity on a single node. Reduces O&M costs with remote deployment and fault location technologies such as SOL, KVM-over-IP, virtual DVD-ROM drive, WebUI, and IPMI 2.0 compliance. Efficient, secure power consumption analysis and control capabilities include intelligent, secure power-off mode and Intel® NM 2.0 compliance.